Stacy's been grooming for 20 years in the Plymouth community. She started in 1997 where she learned from Sue Leksche; the former owner of Wash-n Wags. In 2007 she opened Bark'ers Pet Salon and the rest is history. Amy has been grooming dogs for 7 years. 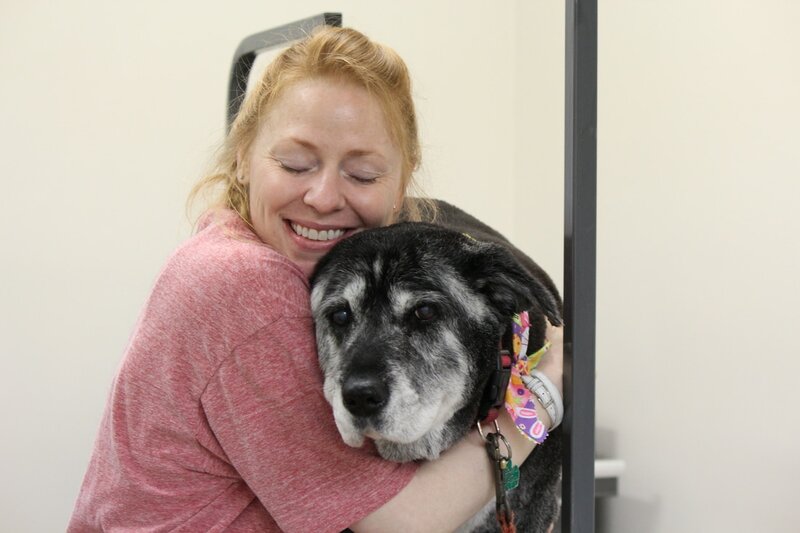 She started honing her skills when she started at Bark'ers Pet Salon 5 years ago. Amy is an avid lover of boxers. She currently has a boxer mix named Ginger with her daughter; Brooke, and husband; Jason. As an animal lover she's ready to meet you and your puppy today! Chrissy has learned under the skilled tutelage of Stacy. She has a knack for getting skunk dogs fresh and clean, she is our go to girl for smelly pups! Her Husband's name is Kevin, and they have 3 beautiful daughters; Nadalee, Kendra, and Gwendolyn and also a pit bull named Morgan. This is Angelena with her fur baby Davinci. Shes been grooming for 4 years now and has some great skills to make your pet look amazing. Meet Shelby, she is our newest addition in the grooming world. She is being trained by Stacy so rest assured she'll do the best work and take wonderful care of your pets. She lives with her cat, and is currently seeing her boyfriend Guy. We have a new receptionist!! We would like to welcome Jennifer to Bark'ers Pet Salon. She has one dog, Joey, a Bichon Frise ( aka "The Savory Sauce Boss" ) as well as her husband Scott, and two kids, Jake and Jenna. She loves dogs, and looks forward to meeting all of our furry friends!